EdTech is changing how we teach, learn and even interact with each other. The more traditional ways of educating are being disrupted as technology advances to overcome issues and improve outcomes across the education system. By tackling the inefficiencies of the current education system head-on, the UK’s EdTech sector is working towards delivering a whole new form of teaching. We take a look at some of the key technological areas and their potential to radically change education. Education and learning technology, known collectively as EdTech, disrupts how education is resourced, taught and consumed. It uses the latest digital technology to engage learners in new and innovative ways and enable teachers to better facilitate learning. EdTech embraces many areas of technology including big data, virtual reality, AI and cloud computing. These technologies are applied in different ways to support learning from early years through school to higher education and even into careers. For example, big data analytics can be used to monitor individual performance and help teachers deliver personalised learning in the most effective ways. On the other hand, gamification, mobile learning apps and immersive content like virtual reality can vastly improve student engagement. The potential for EdTech is huge. It has the power to dramatically reduce the cost of teaching, tackle other inefficiencies in the education system and ultimately provide access to high quality education to people across the world regardless of their background. How big is the EdTech market? According to a report by London & Partners and EdTech UK in 2015, the global education technology sector was worth £45 billion and is on course to reach £129bn by 2020. In the UK, this rapid growth has seen the EdTech market grow at a similar rate to FinTech. UK schools spend over £900m each year on education technology whereas global spending was set to exceed $67.8 Billion in 2015 according to Gartner. With the so-called K-12 market, which refers to primary and secondary education, expanding rapidly in the US, India and China this will continue to rise in the coming years. It’s hard to quantify the take-up of educational technology in British schools because it spans so many products and tools. According to Raconteur, a third of Britain’s schools are asking students to bring their own tablets and laptops into class. It is clear that the take-up of education technology in schools is only going to increase. Online learning and e-Learning is a big part of EdTech. It has already disrupted the traditional classroom-based model of education. Entire courses can now be completed online with high quality resources assessable from anywhere at any time. Students can discuss their studies with peers and educators across the world adding a social learning element. The Internet and cloud technology has effectively liberated education away from a specific time and location, making it a much more fluid and optimised experience. Essentially, with the Internet you can log in and learn whenever and wherever you choose. Online courses allow organisations to reach a wide audience and deliver them on a one-to-many basis. This dramatically cuts costs for them. Students also benefit, having access to an excellent product for a fraction of the cost of attending a physical learning centre. Both cloud technology and the Internet of Things (IoT) make it easier to access teacher-endorsed resources, innovative digital content as well as Open Educational Resources (OER). OER are a key component of distance learning – they are freely accessible, openly licensed documents and media that are useful for research and learning. Through the IoT, students can have a more interactive relationship with course material, and access and learn from data about their own progress. One company operating in this space is MediaCore, a video learning platform which allows you to manage and share educational content that helps improve outcomes. Massive online open courses [MOOCs] are open-licensed higher education courses that are available free of charge to anyone over the web. They provide more traditional resources along with interactive forums allowing students to discuss areas of study with other students and lecturers. Participants are encouraged to share and debate other resources with their peers – a type of networked learning. FutureLearn is the first UK-based platform for MOOCs and enables social learning by allowing people around the world to discuss the concepts and topics covered in the courses. 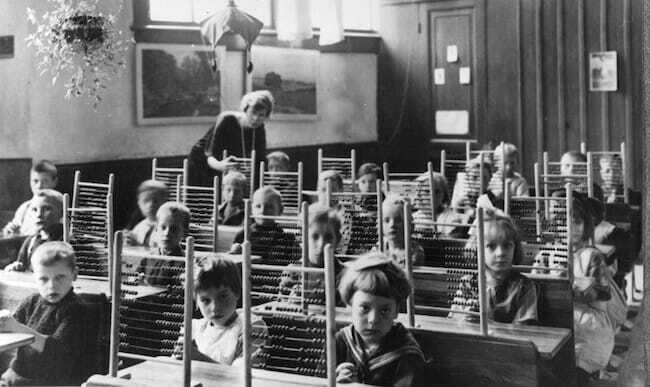 As technology makes education more digitised, one area that remains rooted in the past is assessment. At the moment, testing is a complicated and labour-intensive process. Moving assessment to the digital space could transform testing, making it cheaper and more efficient. There are several issues that need to be overcome around the implementation of digital assessment, chief amongst them being identification. It is therefore an area where research and development (R&D) is rife. Face recognition software is one potential way of solving identification issues. Swedish company DigiExam, who have recently opened an office in London, are taking on the challenges around digital assessment with their platform. Similarly Pearson Vue offer tools to develop, manage, deliver and grow a testing programme online. One of the areas of education technology that can have a hugely positive impact is social learning. Social learning is all about connecting with others and collaborating digitally. This can be between students and students and educators. It is a way to develop ideas, share resources and make learning more engaging. This can happen globally, contributing to cross-cultural engagement and knowledge transfer. It opens up the possibility for real-time online teaching, further improving the outcomes of online courses such as MOOCs. Social learning is all about connecting with others and collaborating digitally. Individuals with special learning needs now have access over the Internet and via social learning platforms to specialist teachers. This means that they can receive tuition from world-leading experts, uniquely qualified to meet their educational needs. Much of the tech around social learning focuses on communication and collaboration. Businesses are developing platforms where you can discuss topics, share resources and benefit from peer-to-peer learning. A number of challenges exist around developing a platform that can compete with established social media platforms like Facebook. EdTech startup Knodium is currently working on a collaboration tool for students at over 100 universities around the world. Mendeley is another academic social network aimed at researchers, allowing them to create groups around areas of shared interest with over five million researchers worldwide. Elsewhere, the charity Talent-Ed uses a platform to connect retired teachers with bright students in order to nurture talent. There is no doubt that e-Learning will be a huge part of the future of technology in schools and universities. It has huge potential to cut teaching costs dramatically and improve standardisation. Open-source online content will continue to grow with more and more teachers contributing resources. The promise of increased revenue for Universities through online courses means that they are likely to be invested in and improve further in quality. In the near future, we are likely to see even better courses made available to more people. As we will discuss later, big data and AI has a role to play in improving the personalisation and efficiency of these online courses. With increasingly fast network speeds and more people owning mobile devices, cloud technology has the potential to completely transform education. Cloud technology means that huge amounts of information can be accessed quickly and easily via the web. It also provides schools and universities with large amounts of affordable storage, reducing the demand and costs on internal IT resources. With a range of resources so easily accessible from mobile devices, it means students can learn from their smartphones and tablets. They can access teacher-approved resources wherever they are, continuing the learning beyond the classroom. This can be particularly beneficial for students with special educational needs that can access resources and work in their preferred environment. By being able to stream engaging content before their lessons, students can prepare in a way that is far more engaging than reading a textbook. It also makes it easier for students to discuss the material in class. Companies like TeachPitch, a free cloud-based web and mobile tool, are already helping teachers find the very best online learning resources. There are issues with cloud technology however, namely security and adoption, and these need to be overcome before it can realise its full potential within the EdTech sphere. Security is understandably a major issue when it comes to sensitive data. Information stored in the cloud has in the past been vulnerable, but start-ups like Cambridge company Wonde are helping schools keep sensitive data secure. Many educational facilities still use old systems and many schools don’t have the level of skill in-house to transition to and then make the most of cloud technology. When it comes to cloud computing, the cost of developing proprietary cloud technologies could be offset using R&D tax credits. Huge amounts of data can now be collected from various sources on the activities and performance of both students and teachers. This data can then be analysed to provide insights on how to improve outcomes for individual learners and the school system as a whole. The information extracted from big data can be an amazing resource for teachers. The focus for many EdTech companies operating in this space is making this data understandable and actionable. With the right analytics platforms, teachers could have access to close to real-time updates on their student’s progress. This would allow them to continuously make data-driven improvements to help their students reach their full potential. Big data has the potential to improve learning experiences dramatically by revealing how individual students are processing information and in turn how best to teach them. Teachers with access to data would be able to tailor their teaching to a student’s individual needs. This would mean learning objectives, content and methods could all be individually tailored and delivered at the correct pace. It could even be that the interests of the student are taken into account and are matched too. The data being collected on individual students is already being stored in what are called Learning Record Stores. These can be carried with an individual throughout their education, sharing data with new educational establishments. Data analytics can also provide insights into course structures and programmes, identifying areas for improvement. If learnings from big data are harnessed by other EdTech tools, you could have increasingly personalised and effective learning. This could transform the whole education ecosystem. Artificial Intelligence (AI) is a disruptive force on education. It takes big data to the next level, with algorithms being used to understand how different students learn and identify their unique needs. These algorithms are then able to predict behaviour, identify potential problems and more accurately predict performance. Algorithms can also assist with personalisation, taking its knowledge and optimising learning to overcome problems and improve efficiency. AI-powered smart learning software could provide bespoke lesson plans and even suggest specific resources to improve results. It is for these reasons that AI is likely to become a big part of online learning, making it more effective through personalisation. Algorithms can understand how different students learn and identify their unique needs. With personalisation in education comes adaptive learning – another area of interest to EdTech companies. Adaptive learning is all about identify a number of key factors around learning such as when a pupil is lacking confidence, struggling to remember key concepts and adapts accordingly. One company operating in this space is SmartBook. They provide digital textbooks filled with content that has been actively tailored to the individual’s needs with the aim to maximise productivity and efficiency. In the future many EdTech products are likely be built on AI. Already we are seeing companies like CLANED that applies AI and theories of education psychology to find out what factors impact individual learning. It then personalises learning to each student in order to improve results and motivate them. Another aspect of adaptive learning looks at increasing or decreasing workload based on mental exertion. The idea is that you only get more to learn when your brain is ready. Beste Yuksel has devised the BACh system (Brain Automated Chorales) to measure ‘cognitive load’ – the amount of mental exertion required to learn something new. The BACh system focussed on improving the way in which people learn the piano. BACh uses special sensors attached to the forehead to measure blood flow in the prefrontal cortex, getting a strong indication of how hard a student’s brain is working. The idea being that when the cognitive load is light, new information can be introduced. The results of the experiment were very encouraging, with people learning the piano more effectively. 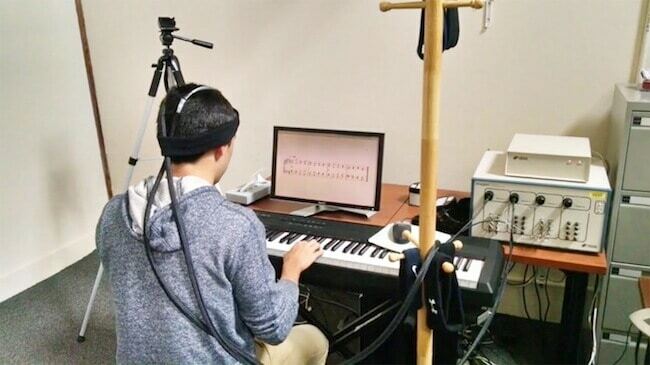 The potential for this technology is that students fitted with wearable mini-BACh systems would be able to track their own mental load when learning any new skill. They can then introduce the next piece of information when their brains are ready to absorb it. With the VR market expected to grow to a $15.9 billion industry by 2019, its impact is going to be far-reaching. It will diversify, moving beyond the gaming sector to disrupt a number of other sectors including education. experiences of their subject matter. Companies working on VR in education claim that it increases engagement and subject retention compared to more traditional methods. VR has the potential to transform many different elements of the classroom, enhancing the way in which students acquire and engage with knowledge. Thanks to companies like Google, virtual reality field trips, lead by teachers, are now a reality. With students travelling to different times and places with in the classroom. It allows pupils to experience distant places that they would ordinarily not be able to. There are currently over 100 virtual trips available including Machu Picchu, Antarctica and even the International Space Station. In order to benefit, schools need smartphones, tablets, and Google Cardboard VR viewers. Teachers direct the virtual trip using a tablet. In Ireland Immersive Education are also using virtual reality to provide realistic simulations of historic and real world events to provide an engaging educational experience. As well as bringing subjects to life, VR also opens up possibilities with social learning. Students across the world are able to interact in a safe and secure VR environment and benefit from cross-cultural exchanges. Alongside VR, we are also seeing developments in augmented reality with the likes of Blippar, a mobile app that uses computer vision technology to create an interactive learning environment with content tailored to the learner. 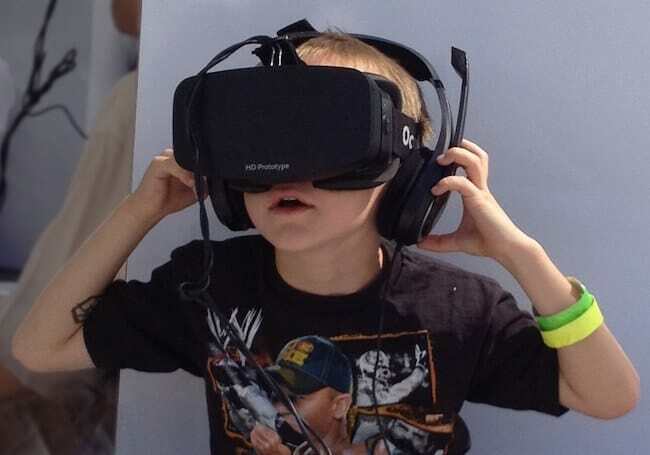 VR still needs to overcome several technological challenges in order to become more immersive. It is therefore a hotbed for R&D with everything from headset design to motion, eye and head tracking being really key areas. There are of course more specific issues with VR-based teaching. Before it can happen on any scale, the creation and distribution of VR content and the tools need to be up-scaled. Teachers will require additional training on how to utilise VR-based learning. And although the cost of VR devices is coming down, it is not yet affordable to all. All of the technologies covered here are also helping make education accessible to individuals with special learning and physical needs. Assistive technologies have improved dramatically becoming more user friendly and often integrated with readily-available devices. 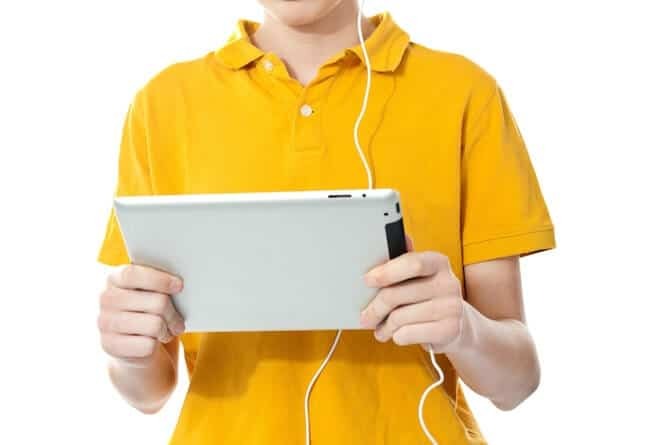 iPads, for example, are now being modified to support students with visual impairments. Reading and writing is one area where technology is being used to overcome learning barriers including speech recognition, screen-reading and text-to-speech tools. There are also digital tools and apps that help students organise their thoughts. The EdTech sector is one of the UK’s fastest growing sectors with well over 1000 ventures based here. The growth is set to continue thanks to the EdtechUK strategic body. London already hosts an exciting EdTech cluster and dedicated accelerators like emerge.education. When it comes to securing funding for EdTech startups, there are number of opportunities in the capital. London is also home to some major players in the learning technology world like HP, Fujitsu, Apple, Accenture and Google all of which have offices there. If you are innovating in educational technology, there is every chance that you will have qualifying activities for R&D tax credit relief. A successful claim will provide you with a cash boost. This will enable you to put more money back into refining the market fit of your EdTech product or service, grow your team and generally work towards improving education on a national and perhaps even global level. The future of education is exciting. ForrestBrown want to help you thrive and grow by ensuring maximum returns from your R&D tax credit claim. Find out more by speaking to the team today on 0117 926 9022. Alternatively, email us on info@forrestbrown.co.uk.